Those crazy Taiwanese animators are back at it, this time with a take on recent rumors calling for a bigger iPhone. True to their quick and dirty style, the somewhat cheesy animation takes us through the latest from the rumor-mill, both crazy stories and those corroborated by established media outlets. 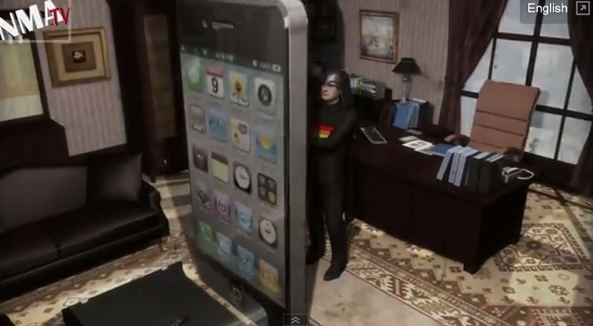 "Those crazy Taiwanese animators do the bigger iPhone meme" is an article by iDownloadBlog.com.